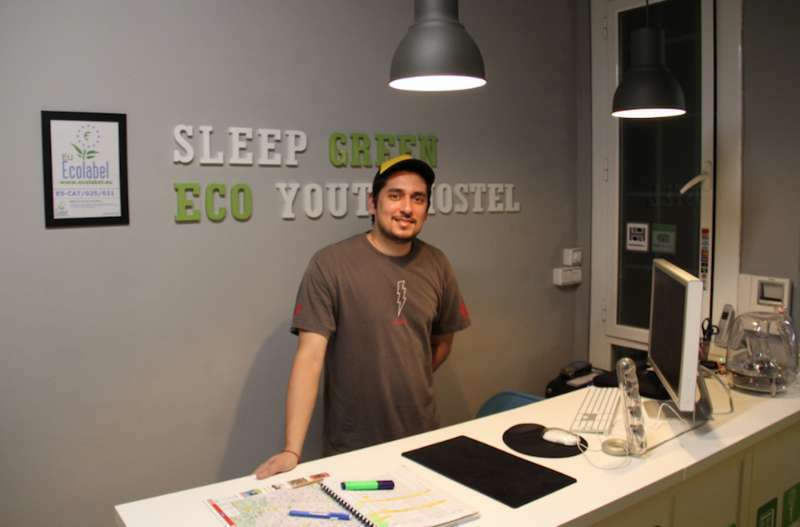 Sleep Green is the first urban youth hostel in Spain that was awarded with the EU Ecolabel in recognition of its commitment to sustainable tourism and protection of the local environment. 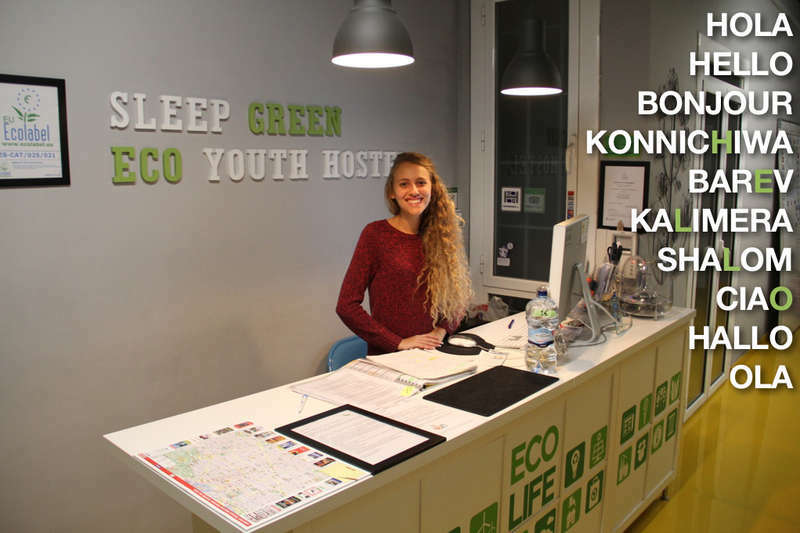 Sleep Green is a small, cozy youth hostel in Barcelona's beautiful neighborhood Eixample. Our location is unbeatable, allowing you to easily discover the city by foot from the hostel. There are supermarkets, bars, clubs, main tourist sites and public transportation all on our doorstep. 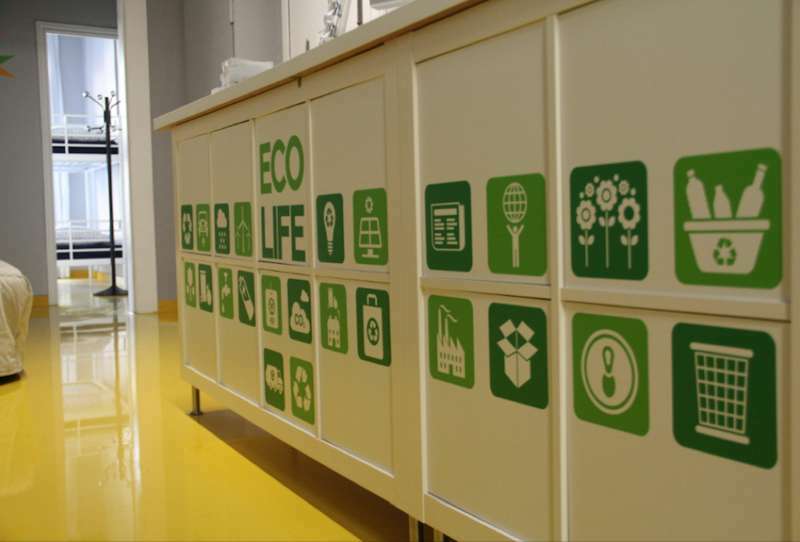 Sleep Green features comfortable air-conditioned dormitories of only 4 to 6 beds. All rooms have a balcony and brand-new mattresses! The hostel is equipped with a guest kitchen to cook meals and have breakfast. Take the sky-blue AEROBUS that leaves from outside the terminal and get off at PLAZA UNIVERSITAT. The bus leaves about every 10 minutes and takes about 25 minutes to the centre. From there it’s a 2 minute walk to the hostel. Take metro line 3 to “Catalunya” station. From there it’s a 2 minute walk to the hostel. Walk 2 minutes to metro station “Arc de Triomf” and take metro line 1 to “Universitat”. From there walk 1 minute to the hostel. Walk 5 minutes to metro station “Barceloneta” and take metro line 4 to “Passeig de Gracia”. From there walk 5 minutes to the hostel. Cancellation policy: If you wish to cancel your reservation free of charge, we will need a notification by email at least 48 hours prior to the "date" of arrival. The deposit is non-refundable. For cancellations on the supposed day of arrival or if you do not show up for your reservation and do not contact us, the first two nights of the accommodation cost will be charged to your credit card. Sorry, no exceptions. Before continuing with the reservation, please note that we are NOT a party hostel. Feel free to drink wine and beer at the hostel but it has to be in moderation. Hard liquors are strictly prohibited. Our aim is to provide peaceful accommodation to respectful travelers who come to Barcelona for a cultural or leisure visit. We reserve the right to refuse admission. Age restriction: If you are younger than 18, please contact us before making the reservation. Note: There is a 2% surcharge for credit card payments at the hostel.